Aikido for children: how young is too young? We get a lot of enquiries at the dojo for kids classes and for increasingly younger students. It seems parents are looking for classes for kids to help fulfil a need or aspiration. The study of traditional martial arts has a lot to offer kids. At a physical level there is the development of strength, coordination and balance in a cooperative environment. There are regular milestones for progress through the awarding of belts that need to be earned, rather than just handed out. Steeped in traditions of the orient, the practice of martial arts offers kids a temporary escape from the real world where they can re-invent themselves a little and be the best they can be. All the while developing a sense of personal responsibility, pride in achievements and respect for themselves and others. Aikido is sometimes called ‘the thinking person’s art’. 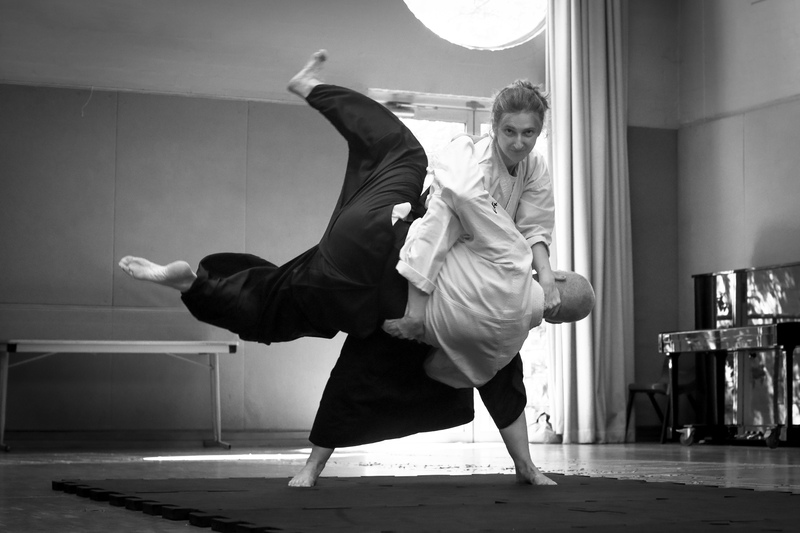 Exponents of aikido are skilled in reading intent, understanding body dynamics and redirecting the energy of an attack. The study of aikido can be challenging but it’s especially rewarding for children. Aikido presents a new way to think about the world each and every time they throw or are thrown. Might doesn’t equal right, nice guys can finish first and even the most difficult of obstacles can be met with a smile and resolved through softness rather than aggression. 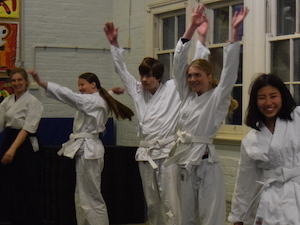 Just as we present our adult aikido classes for adult learners, our Aiki Teens and Aiki Kids classes are tailored specifically for teenagers and younger learners. Each of these classes takes into account the physical, mental and emotional maturity of the individual, and adds plenty of physical activity and fun into the mix. From their first class our young people are learning real world skills relevant at home and at school. Beyond better motor-skills, the added benefits of improved concentration, confidence and calmness appear serendipitously. So if you are thinking about coming along with your child but aren’t sure how young is too young, come along anyway and give it a try: they will probably surprise you with just how capable they are. And within each class there is opportunity for lots of differentiation so they’ll be having a great time! ← Oww… dude, don’t grab my wrist so hard!